Loans that work as hard as you do. As a real estate agent, your business is 24/7. We have loan options to earn you more business and ultimately more commission. Focus on what you do best, finding the right property for your clients. Proven client satisfaction-5 Star Google Reviews. Read here. Out of the box loans not found with traditional bank/credit union lenders. We work when you do. Evenings and weekends when your clients are available. We can connect by phone, email, Facetime and Skype. DocuSign for faster more efficient service. Video tutorials, greetings and communication for you and your clients. Drop box for sensitive documents. Competitive interest rates and loan programs. Doctor and Teacher Loans-Specifically designed to meet their needs. 100% down payment assistance available. We have several loan programs to serve your clients. Stated income means no income documentation, no tax returns or W-2's. Bank statement loans using 12 months bank statements, personal/business assets and current P/L to qualify. CALHFA and Listing Agents. Your seller benefits with a solid buyer and loan. CALHFA is an income driven loan based on County/State guidelines. 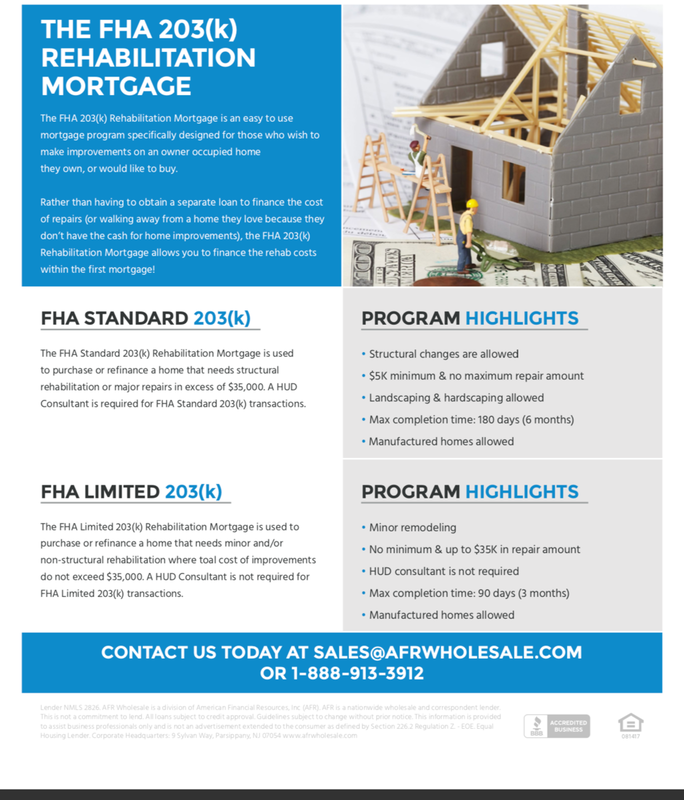 Conventional, VA/FHA loans available, 30 year fixed with competitive interest rates, down payment/closing cost assistance and specials for teachers including grants! Up to 105% CLTV available. The Standard 203k allows repairs in excess of $35,000 and structural modifications. The Limited 203k allows repairs up to $35,000 and no structural repairs. We have a list of licensed and qualified contractors that are bonded and carry the insurance required by some lenders for Workmen's Comp.